RamTek of Houston, TX has won the bid for all 2002-2003 Hot Water Pressure Washers for Car Wash Guys, Aircraft Wash Guys, Truck Wash Guys and Concrete Wash Guys. Due to the need to continually lower prices for our team members through our economies of scale during this recession and to have the high tech CadCam engineering technologies to see our design concepts to fruition, we have officially named RamTek as a "Vendor Team Partner" giving them increased sales throughout our network. We have saved nearly $2800.00 per machine and received the UL rating we need to work in factories, airports, ports, government and military contracts. These machines have over 15 additional changes from our previous Hydrotek units. 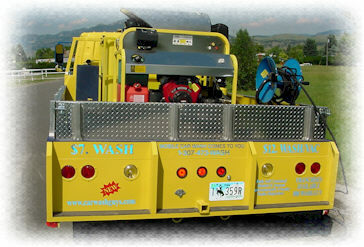 Hydrotek still remains a "Vendor team Partner" for Boat Wash Guys, Detail Guys, House Wash Guys and Deck Wash Guys. The Ramtek machines are now available through our official Vendor Team Leader, Howard and Jason Krew of AAA Pressure Washers Limited. 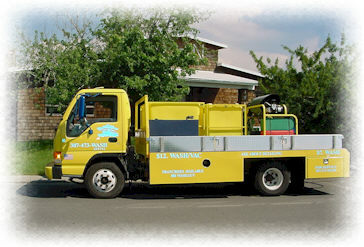 http://www.aaapws.com.